40 Below Fitness is a private locally owned gym, where it isn’t just about working out, it's about a healthier lifestyle. Small changes add up, and if you work hard it will pay off! That’s why the experience of our personal trainers, Michael Flanagan and Phoebe Flanagan, is just what you need to take your fitness to the next level! Here at 40 Below Fitness, we offer 30 minute training sessions, with workouts designed to get you in and out of the gym in no time! With our 3 Stage approach, you’ll have a great personalized plan of attack to get you in great shape! Price per session: $35. No Contracts, No Gym Dues and No Initiation Fee! 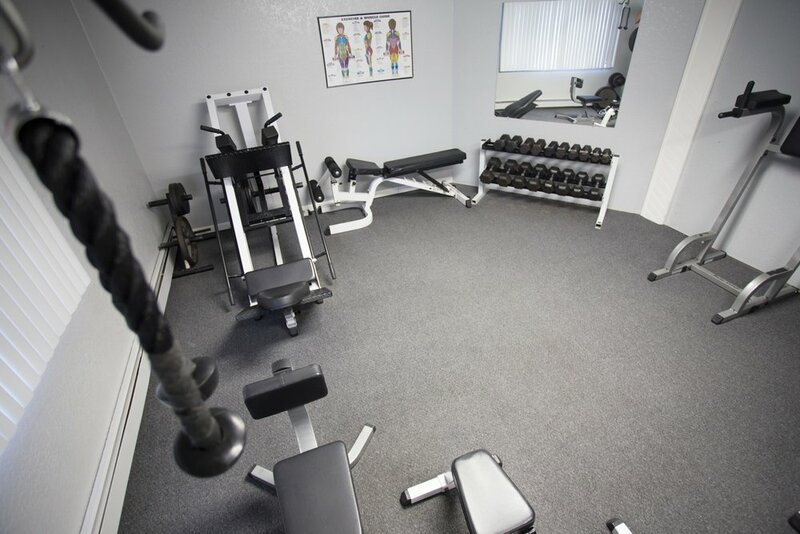 Plus, our private training rooms provide a one on one environment that allows you to focus on yourself and not the distraction found in public gyms. CLICK HERE or call/text to schedule your FREE 15 min consultation and receive a FREE 30 min training session. It’s all about you at 40 Below Fitness, let us help you improve your fitness lifestyle! Meet our personal trainers, Michael Flanagan and Phoebe Flanagan.